New color is offered for this light and bright light (click to enlarge). Light & Motion continues to march on with its Urban line. 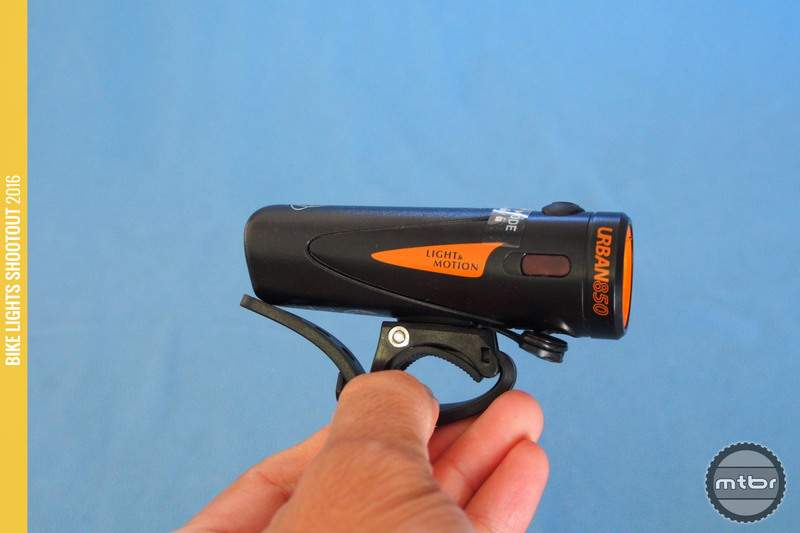 Now with 14 models with different outputs and fancy model names, this top model called the 850 Trail continues the tradition of light and bright lights from this company specializing in bike and dive lights. The new model tunes down the side lighting to make it more compatible with trail use. It also incorporates an optional GoPro mount to take advantage of the wealth of GopPro bar and helmet mounts available today. Couple this with the Urban’s 2 hour fast charging and you have a light ideally suited for endurance racing, where light weight and fast charging are key. A lot of small, good improvements are found here like the GoPro mount and lower side lighting. 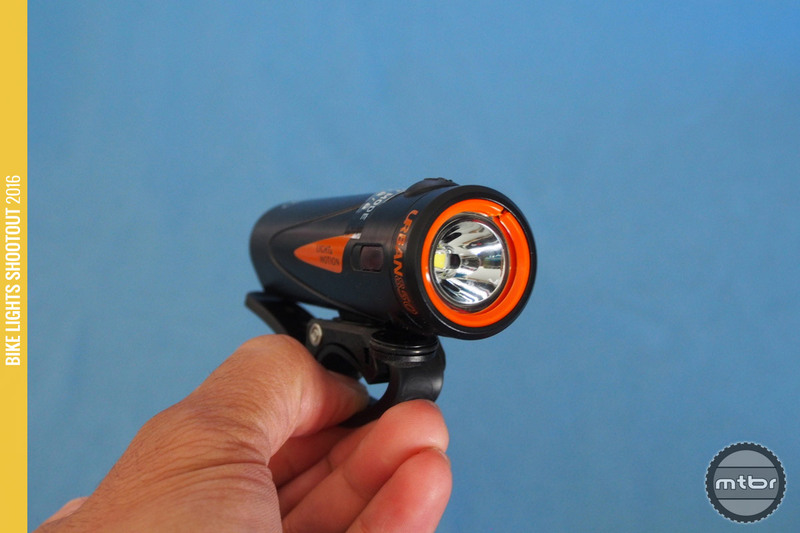 The light continues to be one of the light and bright lights around with 800 Lumens of output for 120 grams of weight. Thus, it is ideal for minimalist needs, like fast rides or endurance racing. Side lights have been tuned down and GoPro compatible mounts are now included (click to enlarge). However, we haven’t seen much from the Light & Motion line especially in the trail category. The Urban line continues to be repackaged, with 14 models now with fancy names and different outputs. They all share the same chassis though and just have lower output LEDs in the most of the line. 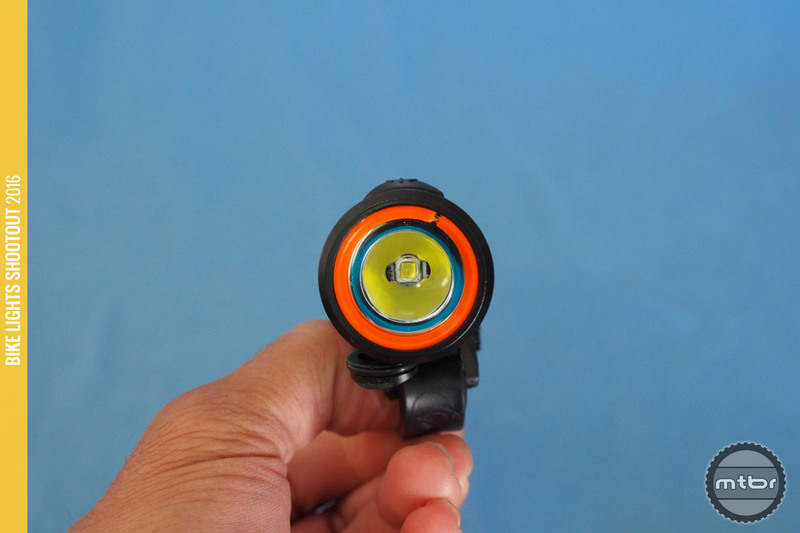 Competition is fierce with the Lezyne Power Drive 900XL that is cheaper and brighter, and the NiteRider OLED which has a useful LED display. Weight of 123g with mount is one of the lightest in the category (click to enlarge). This light doesn’t quite match up to 850 Lumen claims, as we could only get 810 Lumens out of it. It also gets hot fairly quickly due to its small heat sinking chassis. 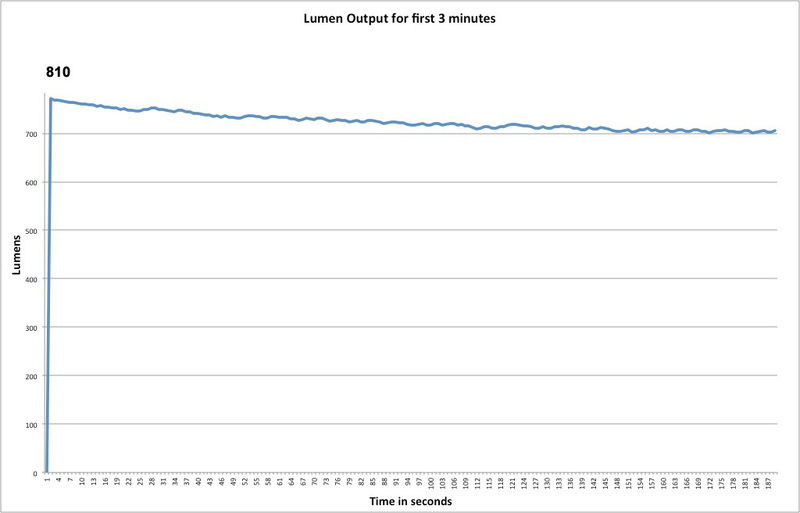 It’s still a leader in Lumen output per gram charts with its very small chassis. Lumen per dollar though is falling behind the likes of Lezyne and others. 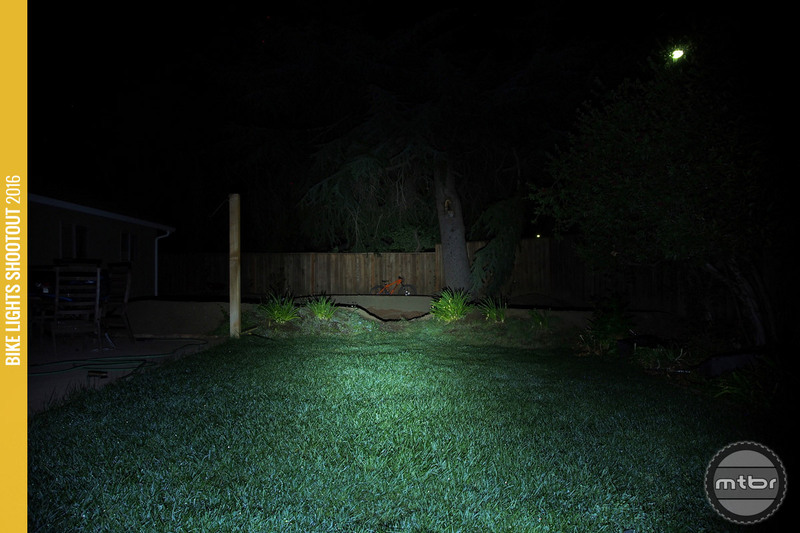 It’s still a small and powerful light, but we much prefer the Taz 1500 in the Light & Motion line. New color is offered for this light and bright light. Side lights have been tuned down and GoPro compatible mounts are now included. 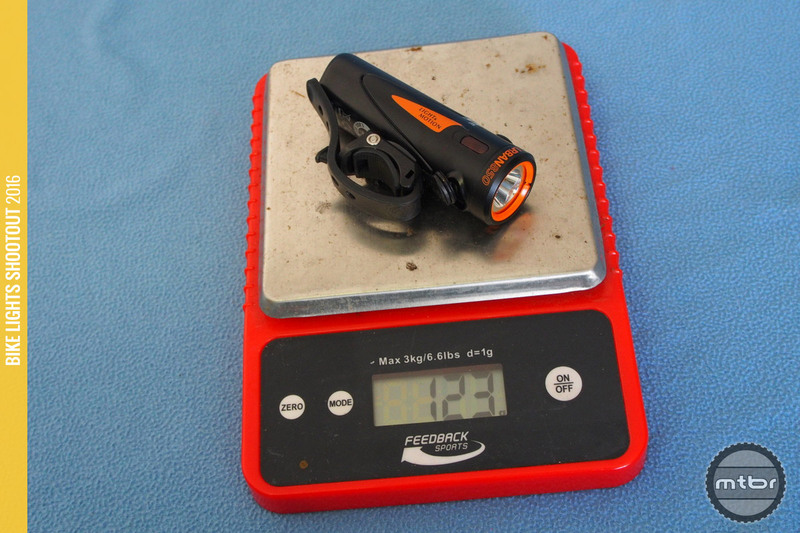 Weight of 123g with mount is one of the lightest in the category.